As we inch closer to completing the golden jubilee of our school, it gives me immense pleasure that we have completed another very successful year at our campus. 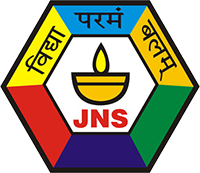 Jamnabai Narsee School has always targeted holistic development for all its students. With a keen eye for future growth and progress, the management continually builds further in all areas – infrastructural augmentation takes place systematically as does the restructuring of curricula. Keeping in mind the attributes of the modern learner, the constant endeavour is to ensure that there is wind enough under the wings of the students to help them take flight confidently and soar above all life’s challenges. Jamnabai Narsee School at GIFT City Gandhinagar has successfully completed two years. There too the quest is to provide the highest standards in education to all the stakeholders. Firmly rooted in value and tradition, the students are moulded into becoming responsible global citizens. It is encouraging to note the extra-ordinary results for ICSE, ISC and IGCSE Examinations. The highest score achieved in ICSE is 98.2%. It is a proud moment to note that in ISC all three Maharashtra toppers for Humanities (99.25%), Commerce (98.75%) and Science (98.75%) are from our school. We congratulate all the students and the entire team at the school for such great results. Our students of IBDP and ISC have performed exceedingly well in a variety of academic and non-academic affairs and have secured admission in some of the top Universities in India and around the world. I appreciate the excellent effort of our Principal – Jamnabai Narsee School and Head of School – Jamnabai Narsee International School and their teams of teaching and non-teaching and support staff that has resulted in another very successful year at the Jamnabai Narsee Campus. I take this opportunity to thank our Parent Teacher Association and Jamnabai Narsee Alumni Association for being involved and their effort in organising various events through the year.